As much as I love cooking, there are nights where I don’t want anything to do with the kitchen. On nights like those I turn to simple, fast and healthy options that have very little clean up. I practically live in the farmers market. I always have fresh produce on hand which sort of forces me to choose healthier fresh options and less trips to the grocery store. 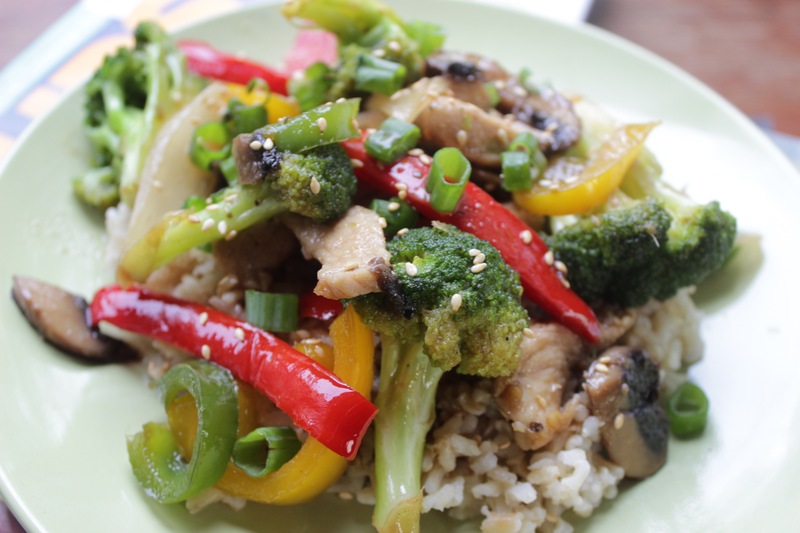 This 20 minute meal is the perfect week night meal to satisfy that Asian food craving. If you don’t own a wok, I seriously advise you get one. They’re inexpensive and make any stir fried meal that much easier. It’s a thin metal pan that heats up quick and HOT so it’s perfect for fast cooking. Cook about 2 cups of brown rice. 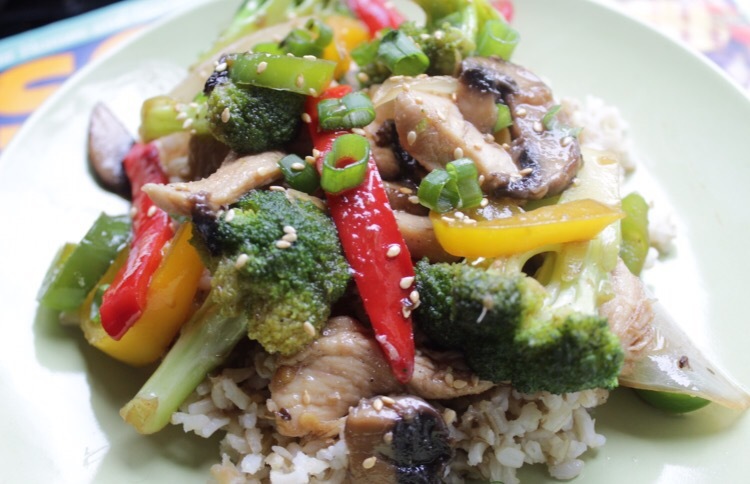 A healthy substitution for starchy white rice but still a lot of flavor. 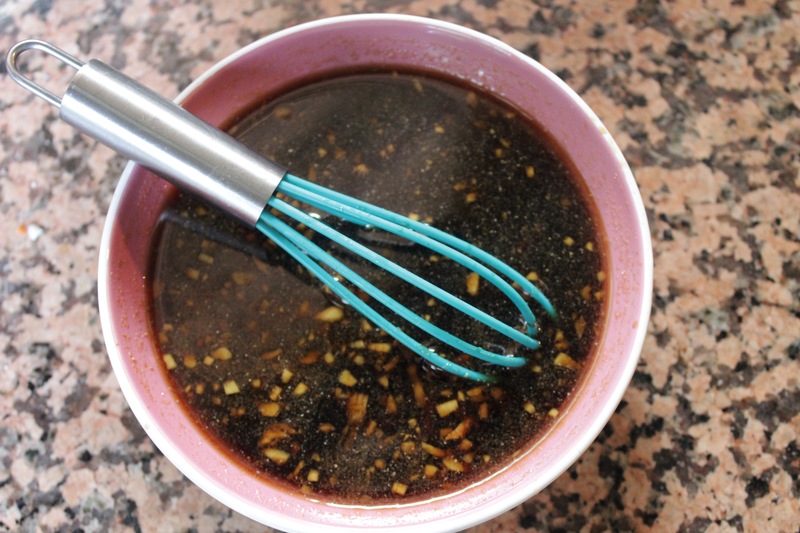 Also, start by whisking all of the sauce ingredients in a small bowl and set aside. 2. While the rice cooks, heat a large wok with 1 tbsp of olive oil on medium high heat. If you don’t have a wok, just use the biggest skillet you have. 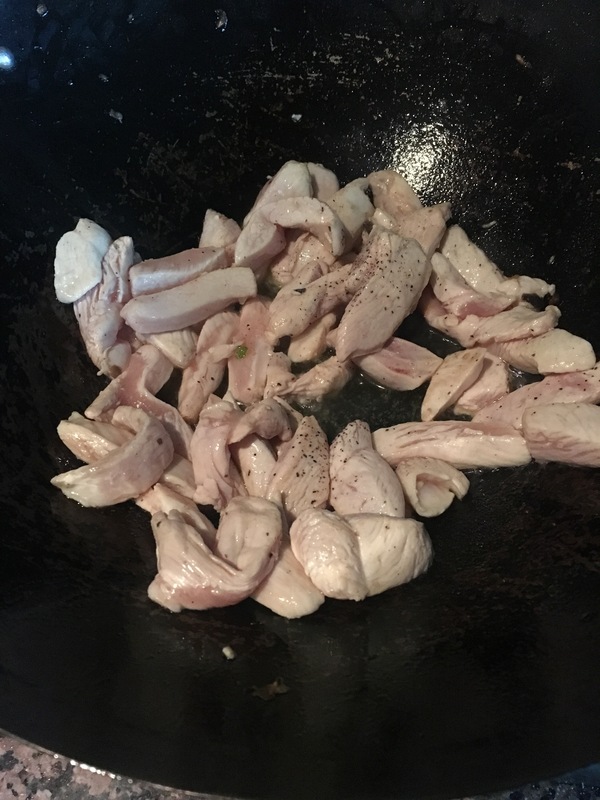 Season with a pinch of salt and a pinch of freshly ground black pepper and cook 5-8 minutes until the chicken is cooked through. Transfer to a medium bowl and set aside and keep warm. 4. 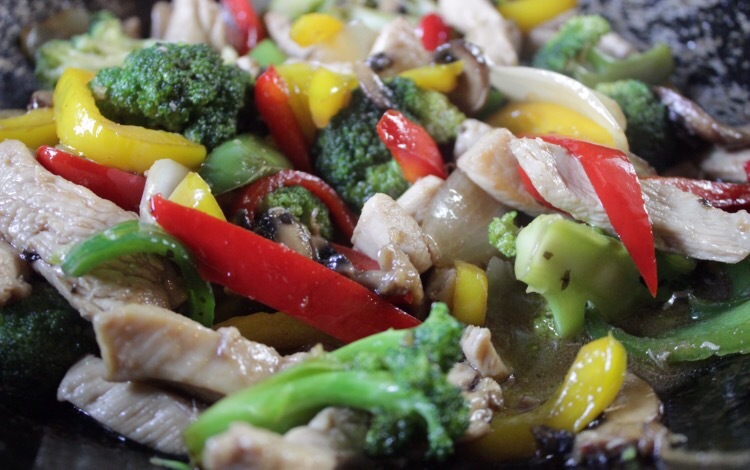 Once you have incorporated the chicken back into the dish, pour in your stir fry sauce. Reduce heat to medium and let cook for about a minute or two until the sauce thickens. This is a light sauce and nothing like that gross powder story fry seasoning packet that I HOPE no one every buys again after seeing this simplicity. 5. Serve over your warm brown rice and garnish with toasted sesame seeds and scallions (green onions) if you have.